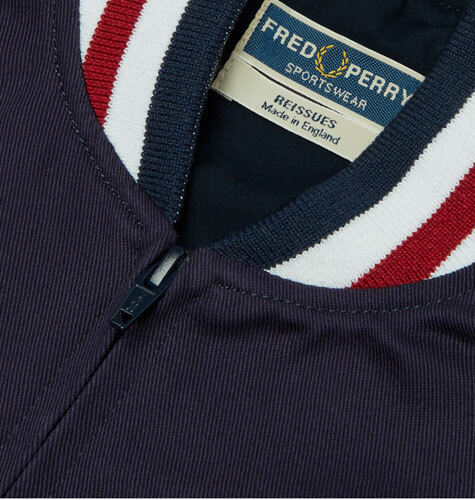 A much sought after item has returned to the Fred Perry range, The Original Tennis Bomber in navy blue. 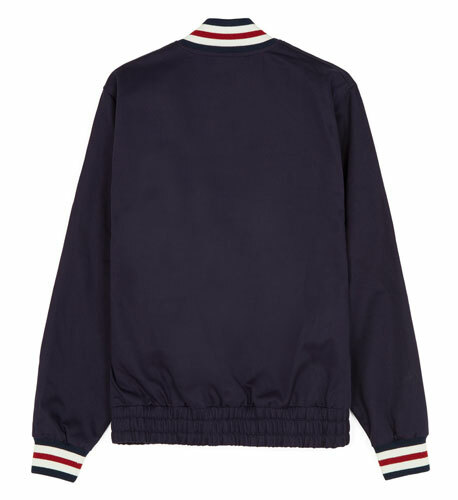 Something of a mod classic, this jacket actually predates that particular movement, first gaining attention in the 1950s as an on-court tennis jacket. But the name probably told you that. 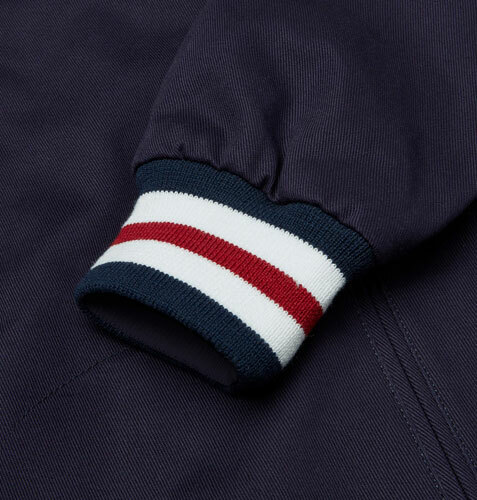 These days it’s a timeless piece of casual wear, but still faithful to the original design, with a pocket shaped like a tennis ball, an elasticated waist to ‘grip’ tennis players during their match, and a concealed zip pocket, originally for a locker key. 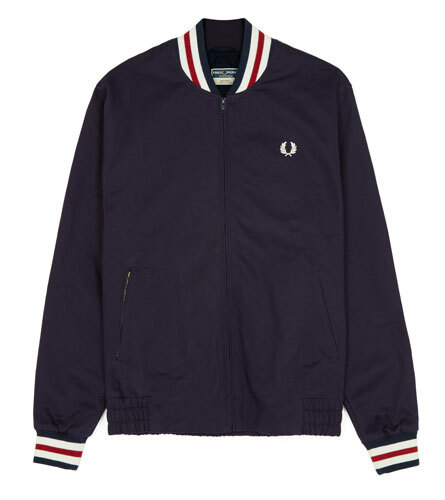 Outside of that, you are looking at white and red contrast stripes against the blue background, as well as the Fred Perry logo.